Bike Frame Size and Seat Height Chart – Bicycle frame size chart – Bike Seat Height Chart – Bike saddle height chart. 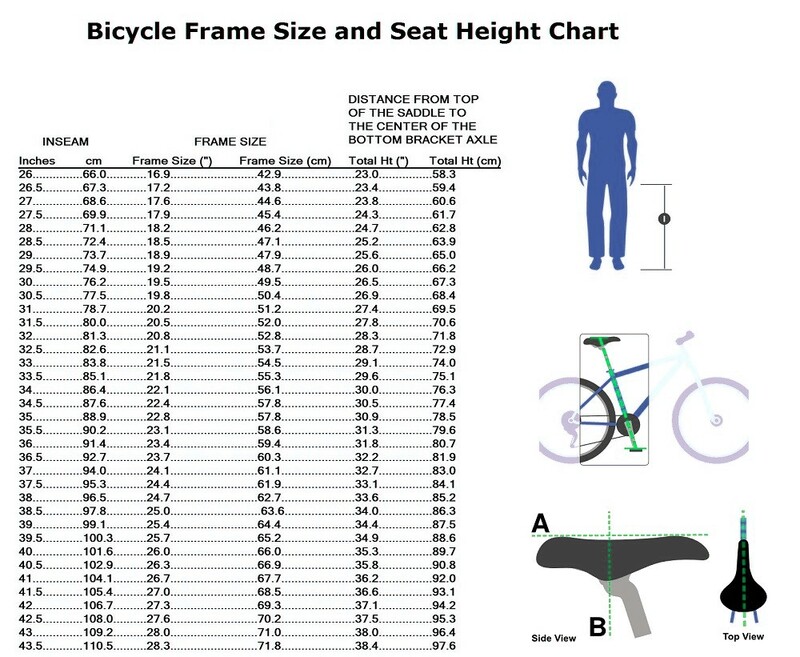 This chart shows the bike frame size and seat height chart based on the inseam height. To choose the right bicycle and adjust the height of the saddle, first measure inseam height and then multiply the value by 1.08, which will give you the seat height or simply look at the table presented below. The below chart can be used for both mountain and road bikes.